Today we speak with Alex Gore about starting a design firm. Alex Gore is principal and partner with Lance Cayko of F9 Productions, a residential and BIM creation design firm based in Longmont, Colorado. 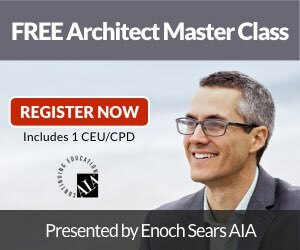 He's the co-creator of RevitFurniture.com, which provides Revit families, template files and tutorials for mastering Revit. Alex also teaches at the University of Colorado Boulder in the Environmental Design and Architectural Engineering departments and is the upcoming author of The Architecture of Thinking Different: Getting More Out of Design and Life. To avoid plan stamping, first be aware of what you can and cannot legal do in your state. First look into your state's statutes and your state's Dora website (Department of Regulatory Agencies), even consult a lawyer if need be. In Colorado for example you do not need to be a licensed architect to do residential work up to a four-plex. This along with BIM work is our bread and butter. You do however need a structural engineer. If you are not a licenses architect, you cannot advertise as such and should make that clear. For example we write in our contracts that we are not Architects and do not propose to be. This way all of our clients understands our position. If you ever do get involved in a commercial projects the key is to hand over the project and the control to an Architect of record. That way the direction and responsible control of the project comes from the architect, rather than the other way around.